Well I did it, I finally read the controversial Rob Bell book Love Wins. Let me just say that it is a quick read that is both refreshing and slippery. Wait, what? Love Wins is a book that made me feel very pleased and very uneasy at the same time. Rob Bell, in his trademark style, approached this work like he was talking to a small group. It was very personal and made you think through the salvific matters that have been so prevalent in American Evangelicalism. To me, it seemed like Bell’s work was meant for those people who are skeptical of church, maybe they were hurt by it. They might have had a bad run in with a militant fundamentalist or perhaps they were weirded out by the older blue-haired ladies. If you doubt, this book could be for you. 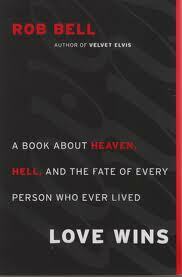 The portion that received the most focus, his take on salvation, hell, and the “afterlife” (as most people think about it), is handled in a conversational way like the rest of his book. I did appreciate the fact that he did not handle the subject flippantly, but he did seem to be pretty light on it. It’s tough to say he went all the way into universalism, since his other chapters are centered around coming to Christ. The argument here is muddled at best, and it flirts with the suburbs of universalism. This hell chapter was tough to work through though. 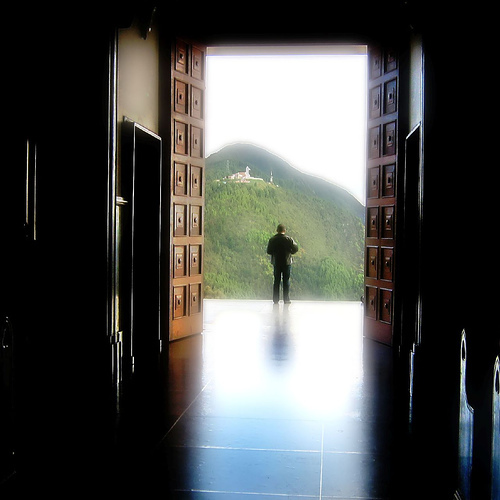 For me, I felt like I was left with more questions than answers. Perhaps that’s what he was looking for, letting his readers sit in the tension of the topic. The part that’s worth the cost of the book is the discussion on how we often time shape God in our own minds. We make him out to be Santa Claus or (pardon my French) a total douche. We make him to be a wizard of sorts or an abusive father. I’ve written previously that I pictured him at one point as Gandalf in the Sky, and that had ramifications on my faith. I suspect that Bell is trying to change our view of God, helping those who might be a little jaded with God himself. God is good, and the story that is told starting from the great creation poem of Genesis 1 offers a whole life. He offers a story that redeems our broken ones. He takes the hurt (both emotional and physical) and transforms it somehow. He takes your story and puts it within a grander story. He offers a chance at life, and life abundant. This book is still worth reading, because it helps those of us who might be uneasy with those people on the street corner with the “turn or burn” signs. Don’t take it lightly though, think through it. If you have any questions, I’ll be happy to walk through them with you. Perhaps you can find out in the end if love wins. Have you read Love Wins? What’s your take on it?